He recently won the RETRIEVER CHALLENGE with our trainer Sandy. 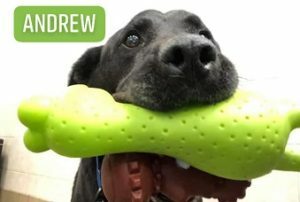 ANDREW is able to carry 3 toys at a time. Think about how helpful he could be helping you tidy up the house. He came to Last Hope from a crowded Southern shelter. 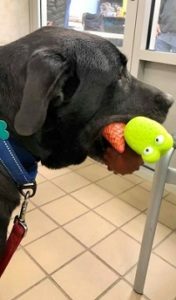 ANDREW was heartworm positive, and has completed his treatment under Last Hope’s care. ANDREW is about 6-7 years old, and is looking for a tidy (or untidy) home. Meet him at Last Hope Dog Center in Wantagh.